The letters are not "new". 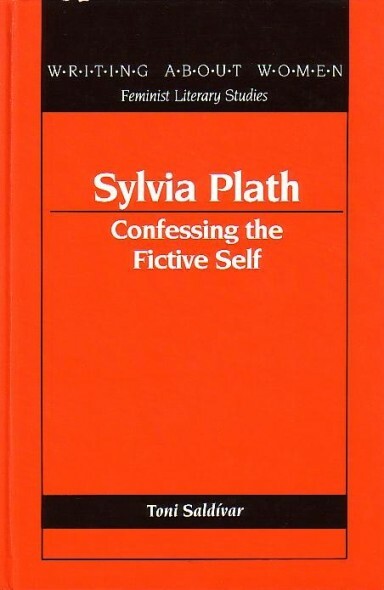 They were first published as an Appendix to Toni Saldívar's 1992 book Sylvia Plath: Confessing the Fictive Self (Peter Lang) on pages 201-206. However, at the time of the books publication Carey still held the letters, and not all of the letters were printed. To protect his interests, for example, Father Michael's name was redacted, and some of Plath's handwritten additions/postscripts were not included. Although the letters were published, I will give a brief paraphrase of each to be consistent to the other recent archives-themed posts, however some of Plath's letters will be quoted and page numbers refer to their publication in Saldívar's book. Plath sent five letters to Carey in 1962 and 1963. In 1962, letters were sent on 23 October; 21 November; 23 November; and 16 December. In 1963, Plath sent a letter on 4 February. 23 October 1962: Typed letter apologizing for a delay in responding to his letter stating that the flu had been a leading cause. She writes that she would enjoy reading his poems but that if he is looking for encouragement or an admission of talent that she will not be able to help him. The desire to write must come from himself. She invites him to tea if he is ever in Devon before December and mentions her plan to be in the west of Ireland after December. 21 November 1962: Typed letter again apologizing for being too long in replying to him stating this delay was due to children, apple trees, bees and the prospect of a flat in London. She discusses the kinds of poets she sees in his poetry: a "lyrical-traditional" one and one that produces "meticulously-observed phrases" (202). His poetry is a blend of the almost archaic and the modern, 20th century; and Plath clearly prefers the 20th century lyrics. She advises him to "Speak straight out" (203). Plath describes herself as an obsessed-with-God atheist; that she is interested in philosophy and theology and briefly describes "Berck-Plage" (which had just aired on the BBC on the 17th). Along with this letter, Plath sent Father Carey a typescript of her poem "Mary's Song" which she wrote two days earlier on 19 November 1962. 29 November 1962: Typed letter thanking Father Michael for sending her a blessing. She writes just briefly that when he study's poetry he should learn it by heart, not necessarily study to anatomize as one might in school, mentioning that she hated Milton (implying I think that until she studied him she hated him). Plath writes that she would be willing to answer autobiographical questions that he posed to her. Plath closes her letter with a handwritten postscript asking Father Michael to bless Yeats' house for her. 16 December 1962: Typed letter thanking Father Michael for the blessings he bestowed as it all seemed to work out as she and her children were ensconced in Yeats' house in London. She relates the ordeal of getting there and talks about all the work she has to do to make the flat livable and her own. She again offers for him to drop down from Oxford for tea, commenting that Primrose Hill has always been her favorite area of London, from her first initiation to London at a Fulbright student to now. Plath responds to an autobiographical question Father Michael posed with a reference to Peer Gynt: "Myself" (205). We can perhaps infer that his autobiographical question had to with the source of inspiration for her writing. But the truth is we may never know what question he asked. She closes wishing him a Happy Christmas. The gap between the above letter and Plath's final letter to Carey on 4 February 1963 was seven weeks. The Mortimer Rare Book Room at Smith College holds one letter from Carey to Plath dated 28 January 1963. One feels he must have grown impatient at not hearing from her. Carey in this letter apologizes for perhaps being too harsh or too critical, he wrote what he wrote to start a discussion about modern poets, which he felt fell into two schools: those who want to be obscure and those that are so direct as to write with "surgical clarity". Plath had suggested he read Sir Thomas Wyatt's lyrical poetry and he obtained Wyatt's Omnia Opera. He mentions that universally it appears accepted that one reads Chaucer is for narrative and Shakespeare for drama, but inquires who he should read for lyrical as the jury was out as to which writer was the definitive one. I certainly wish there were more letters TO Plath that existed as we might then have a better idea of how she corresponded. Instead, rather, what we do have it a one-sided view of the correspondence. But because this letter from Carey is extant, we get a glimpse of his initial response from, presumably, mid-to-late December and can see Plath's response from just a week before her death. 4 February 1963: Plath again mentions a delay in her writing due to flu and fever and that she's crawling out of those doldrums finally. She has been making curtains and writing poems at dawn. She enjoyed his harshness and critique and was not offended. Regarding the two schools of poetry that Carey wrote about, Plath says that good poets do not seek to be unclear or hazy; and that she certainly does not. Rather, the nature of compression in poetry means sometimes that obscurity happens. She ends suggesting he read Yeats for his lyricism. Carey has annotated this letter at the bottom in pencil that Plath died 11 February 1963 and writes "R.I.P". One thing I have noticed in working with all the known (and found) letters that Plath wrote is that she frequently sent more than one letter per day; as though she saved her letter writing for a particular day of the week and then churned them out. This is not always the case, but it does add some perspective to her daily activities as mother, daughter, writer, business-woman, friend, correspondent, mentor, what have you. Below is a list of other letters and writings that Plath achieved on the days that she wrote to Father Michael Carey. 23 October 1962: Letters to Eric Walter White (University of Texas at Austin) and Aurelia Plath (Indiana); and started drafting "Lady Lazarus". Susan O'Neill-Roe started the day before; Plath had Nancy Axworthy in, as well, in the morning and according to her Letts calendar she went to Bloggs (garage);baked banana bread; picked apples; and did laundry, among other activities. 21 November 1962: no other known letters. On this day according to her Letts calendar she emptied the ashcans; drew out £10 from the bank; visited Winifred Davies in the evening and brought her Taroc pack (and maybe her "weird luck"). 29 November 1962: Letters to Harriet Cooke (privately owned); Karl Miller/The New Statesman (draft, Smith College); and Aurelia Plath (Indiana). Susan O-Neill-Roe was off this day; she went to the grocery and the bank as saw a film that night in the Film Society. 4 February 1963: Letters to Marcia Brown Stern (Smith) and Aurelia Plath (Indiana); writes "Contusion". According to her poetry/prose submissions list (held at Smith College) she sent a batch of poems this day to The New Yorker, but this seems unlikely as poems she wrote on the next day (the 5th) were included. Certainly I think this humanizes Plath in some ways to see the sum of her output in a calendric fashion. Of course this spells out biographical details that may or may not have any bearing on literary criticism of her creative writing, but I do not see the detriment in knowing what she was doing day-by-day. In fact her productivity in everything garners more and more respect from me; I am simply amazed at what she was able to accomplish in such a short life. And, this (what we have and know about) is not even all of it! Michael Carey AP’46, ’51, Coconut Creek, FL, died November 9, 2007. A former Assumptionist, Mike taught English Assumption Prep and edited the 1961 Prep Directory. He studied at Oxford and Yale Universities and had a career in health care administration, primarily in Florida. Proficient in French and Spanish, he was a private tutor for many years and translated several books from French to English. Mike composed 15 children’s plays and most of them were performed throughout Florida. He leaves his wife, Janice; daughters Siobhan, J. Patricia and Aimee; and five granddaughters. I also found that Carey wrote to Robert "The White Goddess" Graves in 1963. In addition to the letters, the Library holds Carey's copy of The Colossus (Heinemann, 1960) which he purchased at a bookshop in Oxford in June 1963. As I have been highlighting different archival collections, I realized this one was "missing" from the record, as well as from being listed in the Archival Materials page on my website for Sylvia Plath. This has now been posted and listed! All links accessed 14 January 1963. Thank you for this. It was good to see it summarized in one place, and it refreshed me on the metaphorical importance of Peer Gynt, the braggart poet and Emperor of the Self in the madhouse who loses all and returns to his mother's lap. He is questioned, "Who are you?" and Gynt replies "Myself." Now I can only think of Plath's line from "The Jailor," aligning with the Tarot/Taroc's Hermit card: "I am myself. That is not enough."